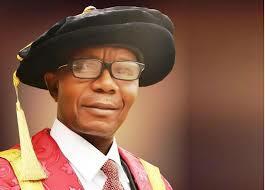 The Vice Chancellor of Osun State University, Prof. Labode Popoola, said on Saturday that the institution would collect the over N2bn debt students owe it whether they are able to recoup their money invested in the Mavrodi Mondial Moneybox or not. Popoola said, “Some of them (students) used their school fees to invest in MMM. But whether MMM comes back or not, it is their headache. I have told them that we are not going to open the portal. If I see that a critical mass of the students pay, then we will decide to open the portal just for about 48 hours. But they must pay first. But MMM ‘investors’ have not been able to get their money back as of the time of filing this report. “Some accounts are frozen and ‘GH’ have commenced,” she said.